Ants do not tolerate nematodes and move their nests away from treated areas. 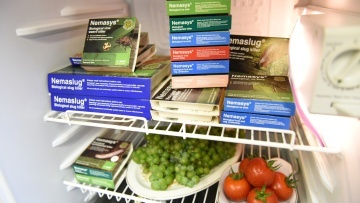 Ants are not killed by Nemasys® Biological No Ants, but they leave nests that have been treated. 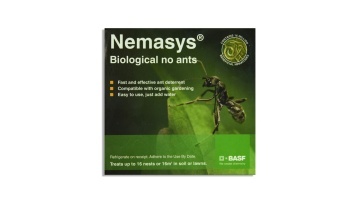 Nemasys® Biological No Ants is a product containing a species of beneficial nematodes that ants do not tolerate, moving their nests away from treated areas. Apply when ant activity is visible on the soil surface, which is typically from April through to September. Ensure the soil temperature is above 10ºC (50°F). Locate the ant nest(s) and pour the nematode solution directly into each nest, using a watering can provided with a very coarse rose. Soak the treated nests with water imediately after application. 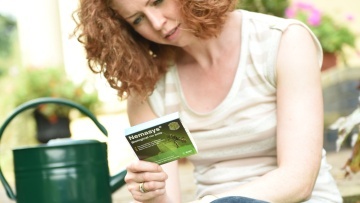 Make sure the nests do not dry out for at least two weeks after applying nematodes.